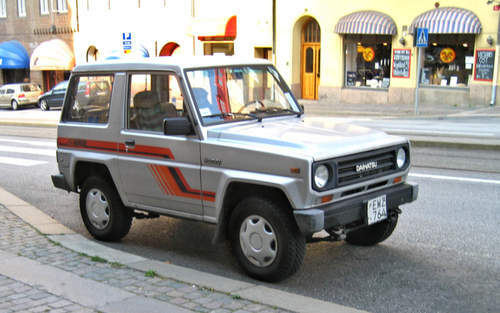 Tradebit merchants are proud to offer auto service repair manuals for your Daihatsu Rocky - download your manual now! For over 58 years, Daihatsu has built familiar automobiles including the 68 horsepower, 1997 Daihatsu Taft 1.3 GXi and the 2007 Charade. Even professional Daihatsu mechanics can’t get by without a good repair manual. Explore our comprehensive list of Daihatsu manuals, covering the oldest and newest generations cars.